Dr. Avasarala is Associate Professor of Neurology, Division of Neurology, Department of Medicine, University of South Carolina School of Medicine, Greenville Health System, Greenville, South Carolina. Abstract: The treatment of multiple sclerosis continues to evolve. However, even with the introduction of B-cell depleting monoclonal antibodies, disability progression continues unabated since B-cell therapies are unable to cross the blood brain barrier and thus are unable to address the disease that lurks within the brain. In this commentary, the author explores the research and practice of using B-cell depleting monoclonal antibody therapies in MS. The author provides discussion on the blood brain barrier as the primary limitation to the effectiveness of MS therapies. The author briefly reviews the pathophysiological role of B-cells in MS and the implications that B-cell migration to the brain has on MS disease progression and treatment. The author discusses potential drug development strategies for MS that combine blood brain barrier crossing molecules with peripherally acting B-cell depleting monoclonal antibodies. Rapid strides have been made in the treatment of multiple sclerosis (MS) since the United States Food and Drug Administration (FDA) approved Betaseron® (Schering AG and Bayer HealthCare), the first drug approved for MS treatment, in 1993. Despite this, treatment options for worsening MS, characterized by accumulating disability on Expanded Disability Status scores (EDSS) and/or cognitive decline, offer disappointing results. This is particularly worrisome for African-American patients, who have higher EDSS, greater gait abnormalities at diagnosis, and possibly more primary progressive (PPMS) variants, compared to Caucasian patient cohorts. The progression of disability in patients with relapsing-remitting MS (RRMS), which eventually transitions into secondary progressive MS (SPMS), has been a poorly understood phenomenon from a mechanistic perspective, and no specific drugs have been developed that counteract or arrest the progression of disability over time. This is likely due to the poor penetration of the blood brain barrier (BBB) by these drugs, particularly the B-cell depleting monoclonal antibodies (MAbs). Currently, four MAbs have been approved for MS therapy—natalizumab, alemtuzumab, daclizumab, and ocrelizumab. This brief review and commentary describes and discusses potential drug combination strategies that might improve treatment outcomes in MS. By combining BBB-crossing molecules (e.g., siponimod, cyclophosphamide, or laquinimod) with peripherally acting MAbs, we might be able to develop MS therapies that effectively limit or halt disease progression and improve overall treatment outcomes. Molecular weight. Unlike nearly all other blood vessels in the body, the endothelial cells of the BBB are held together by tight junctions, and in order for a drug to enter the central nervous system (CNS), it must take the trans-cellular route. The tight junctions, coupled with numerous efflux transporters and metabolizing enzymes, constitute a barrier to the movement of both molecules and cells from the bloodstream into the CNS. The molar mass or the mass of one mole (6.02 x 1023 molecules, Avogadro’s number) of the most commonly used MAbs in neuroimmunology, including those that are non-FDA approved, are as follows: natalizumab, 146kDa; rituximab, 143kDa; alemtuzumab,145kDa; ocrelizumab, 148kDa; and daclizumab, 142kDa. These molar masses are critical since BBB penetration is inversely related to the square root of the molecular weight (or molar mass) of a substance, and typically, few molecules larger than 0.5kDa can cross the BBB. There is no evidence that any of the MAbs impact neurodegeneration in a clinically significant manner over the long course of MS, and that is problematic—particularly in cases where MAbs are used as the sole therapeutic regimen for treatment of MS.
Other molecular characteristics. The size and lipophilic or hydrophilic nature of molecules are not the only factors that limit a drug’s ability to cross the BBB. For example, a molecule’s charge, tertiary structure, protein-binding properties, and saturable transport systems (e.g., L-dopa, caffeine) can also impact its ability to penetrate the BBB. Transmembrane diffusion can be used to transport lipid-soluble drugs across an intact BBB; however, approved MAbs drugs do not use this mechanism nor consider the above factors, and there is no evidence that MAbs cross either an intact or disrupted BBB. Because radiological stability in patients with MS—defined as having no new T1-gadolinium-enhanced lesions or expanding/new T2 lesions in the brain or spinal cord—is the cornerstone of the NEDA (no evidence of disease activity) concept, inablility of MAbs to penetrate the BBB is a therapeutic challenge, especially since MAbs are being considered for MS?therapy in the face of worsening disability. Ocrelizumab. In two identical randomized, double-blind, double-dummy, parallel-group Phase III clinical trials—OPERA I and OPERA II5—investigators evaluated the efficacy and safety of ocrelizumab in comparison with interferon beta-1a in participants with RRMS. Participants were randomized to receive either ocrelizumab 600mg intravenously (IV) every 24 weeks plus interferon beta-1a placebo subcutaneously (SC) three times weekly (Group A) or interferon beta-1a 8.8mcg for Weeks 1 and 2, 22mcg for Weeks 3 and 4, and 44mcg for Week 5 and thereafter three times weekly SC plus ocrelizumab placebo IV every 24 weeks. Planned duration of double-blind treatment was 96 weeks. Participants who completed the 96-week, double-blind treatment had an option to enter a single-group, active treatment, open-label extension, provided they fulfilled the eligibility criteria. In another Phase III clinical trial, investigators evaluated ocrelizumab versus placebo in participants with PPMS. All three studies reported impressive data, particularly the disability scores in the ORATORIO study. Investigators found a 24-percent reduced risk of clinical disability in the active treatment group compared to placebo. Ocrelizumab also reduced time required to walk 25 feet by 29 percent, the volume of chronic inflammatory brain lesions by 3.4 percent, and the rate of brain volume loss by 17.5 percent when compared to placebo. Magnetic resonance imaging (MRI) data, however, do not explain the beneficial effects ocrelizumab appeared to have on disability, given the molecular size of ocrelizumab and its poor penetration of the BBB. B-cells. MS is characterized by intrathecal compartmentalization of disease that cannot be reached by immunosuppressive agents, including MAbs. Although apparently restricted to late disease phases of MS, the development of lymphoid-tissue like structures in the brains of patients with MS suggests a pathophysiological role of B-cells in MS that is possibly perpetual, eventually being one of the many contributors leading to SPMS. The presence of lymphoid-follicle like structures in the meninges of some MS patients indicates that B-cells can mature and perpetuate a compartmentalized, humoral immune response. As patients transition into SPMS, factors that drive this process include autoreactive T-cells that cross the BBB and contribute to demyelination, axonal transection, gliosis, and subsequent axonal degeneration. The cascading neuroinflammation and neurodegeneration that follows continues unabated as the BBB forms an impenetrable barrier to drug molecules. Additionally, memory B-cells and plasma cells, central to humoral immunity, are found behind a “protected” BBB in lesions and cerebrospinal fluid (CSF) of patients with MS. Ectopic lymphoid follicles located in the meninges are hypothesized to drive the pathology of MS and have been shown to house B cells and plasma cells, indicating that B cells migrate to the brain and can be sustained locally within the CNS. Plasma cells do not carry CD20 cell surface molecules and are not affected by anti-CD20 MAbs. Cerebrospinal fluid. If drugs are to effectively reach brain tissues, CSF concentrations must be at least as high as in serum. As an example, the poor BBB penetration of IV rituximab became apparent in a study in which the treatment of CNS lymphoma produced concentrations that were 1,000-fold less in CSF than seen in serum. In another study that tracked immunoglobulin (IgG) levels and indices and oligoclonal band numbers in the CSF of 15 patients with MS, poor BBB penetration of IV rituximab was revealed when investigators noted no consistent alterations in IgG or oligoclonal band numbers at Week 24 of treatment; however, B- and T-cells in the CSF compartment were reduced (although the mechanism is unclear.) The REVITALISE (rituximab by intravenous and intrathecal injection versus placebo in patients with low-inflammatory secondary-progressive MS) study11 reported poor therapeutic efficacy of rituximab even when administered intrathecally—further evidence supporting the theory that MAbs do not penetrate an intact BBB. BBB-crossing drugs. An illustrative example of a drug that can cross an intact BBB is cyclophosphamide (CYC), an alkylating agent that penetrates the BBB and CNS parenchyma. CYC has been shown to decrease pro-inflammatory T-helper Th1 cytokine interferon-gamma and interleukin. CYC might be useful in advanced cases of MS but has not been studied in a randomized, clinical trial setting. Another example is laquinimod, an investigational CNS-active immunomodulator that can diffuse freely across the BBB without any active transport. Cardiotoxicity, however, at a dosage of 1.2mg/day halted its progress in clinical trials, which is clearly a limitation. Whether laquinimod can be safely used at lower doses and have a beneficial effect on MS disability when combined with MAbs is yet to be determined. A third example of BBB-crossing drugs are sphingosine phosphate (SIP) receptors blockers. The SIP blocker fingolimod failed in the PPMS study; however, a newly developed SIP blocker, siponimod, has shown a relatively short half-life compared to fingolimod, with fewer cardiac side-effects, and has BBB penetration capabilities. A phase III trial of siponimod in SPMS is ongoing (NCT01665144) and might contribute to the research and development of MS drugs that can cross the BBB. Combination therapy. Could drugs such as CYC, siponimod, and laquinimod be the future of MS therapies? Some other strategies that have been tried in oncology, for example, include the use of nanoparticles, immunoliposomes, peptide vectors, and influx transporters and could perhaps serve as model strategies for MS therapies moving forward. The idea of combination therapy in MS is not new. Many studies have explored safety, tolerability, and efficacy of several combination regimens, but these have been underpowered and/or poorly designed. The key to success is to combine agents that have been shown to A) penetrate the BBB with B) drugs such as MAbs that work effectively and show robust efficacy outside the CNS. For proof-of-concept studies, combination trials need to identify patients with worsening EDSS, and selection of appropriate target populations is key. Enrollment of RRMS patients who fail disease-modifying therapies and whose EDSS continues to worsen perhaps form the most eligible patient cohort in which to initiate combination therapy trials. In summary, MS?therapies that combine BBB-crossing molecules with peripherally acting MAbs should be a strategy of MS drug development. MS therapies that effectively limit or halt disease progression and improve overall treatment outcomes will need to address the disease mechanisms both inside and outside the CNS. It must also be recognized that the presence of lymphoid-follicle like structures are associated clinically with irreversible disability and, from a pathological perspective, show pronounced demyelination, microglial activation, and loss of neurites in the cerebral cortex. Without addressing such fundamental pathological phenomena residing in a compartmentalized “zone” of the CNS, MS therapies will continue to have disappointing outcomes in treating worsening disability status in patients with MS.
Naismith RT, Trinkaus K, Cross AH. Phenotype and prognosis in African-Americans with multiple sclerosis: a retrospective chart review. Mult Scler. 2006;12:775–781. Pardridge WM. 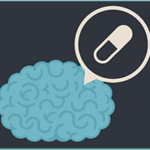 The blood-brain barrier: bottleneck in the brain drug development. NeuroRx. 2005;2(1):3–14. Banks WA. Characteristics of compounds that cross the blood-brain barrier. BMC Neurol. 2009;9:S3. Cheng Z, Zhang J, Liu H. Central nervous system penetration for small molecule therapeutic agents does not increase in multiple sclerosis and Alzheimer’s disease-related animal models despite reported blood-brain barrier disruption. Drug Metab Dispos. 2010;38:1355–1361. Hauser SL, Bar-Or A, Comi G, et al. Ocrelizumab versus interferon beta-1a in relapsing multiple sclerosis. N Engl J Med. 2017;376:221–234. Montalban X, Hauser SL, Kappos L, et al. Ocrelizumab versus placebo in primary progressive multiple sclerosis. N Engl J Med. 376:209–220. Trapp BD, Peterson J, Ransohoff RM, et al. Axonal transection in the lesions of multiple sclerosis. NEJM. 1998;338:278–285. Serafini B, Rosicarelli B, Magliozzi R, et al. Detection of ectopic B-cell follicles with germinal centers in the meninges of patients with secondary progressive multiple sclerosis. Brain Pathol. 2004;14:164–174. Rubenstein JL, Combs D, Rosenberg J, et al. Rituximab therapy for CNS lymphomas: targeting the leptomeningeal compartment. Blood. 2003;101:466–468. Cross AH, Stark JL, Lauber J, et al. Rituximab reduces B and T cells in cerebrospinal fluid of multiple sclerosis patients. J Neuroimmunol. 2006;180:63–70. Komori M, Lin YC, Cortese I, et al. Insufficient disease inhibition by intrathecal rituximab in progressive multiple sclerosis. Ann Clin Transl Neurol. 2016;3:166–179. Awad A, Stuve O. Review: Cyclophosphamide in multiple sclerosis: scientific rationale, history and novel treatment paradigms. Ther Adv Neurol Disord. 2009;2:50–61. Bruck W, Wegner C. Insight into the mechanism of laquinimod action. J Neurol Sci. 2011;306:173–179. Lublin F, Miller DH, Freedman MS, et al. Oral fingolimod in primary progressive multiple sclerosis (INFORMS): a phase 3, randomized, double-blind, placebo-controlled trial. The Lancet. 2016;387:1075–1084.